The domain within your query sequence starts at position 37 and ends at position 121; the E-value for the DCX domain shown below is 1.58e-13. Tandemly-repeated domain in doublin, the Doublecortin gene product. 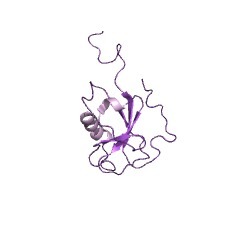 Proposed to bind tubulin. Doublecortin (DCX) is mutated in human X-linked neuronal migration defects. X-linked lissencephaly is a severe brain malformation affecting males. Recently it has been demonstrated that the doublecortin gene is implicated in this disorder [(PUBMED:9489699)]. Doublecortin was found to bind to the microtubule cytoskeleton. In vivo and in vitro assays show that Doublecortin stabilises microtubules and causes bundling [(PUBMED:10441322)]. 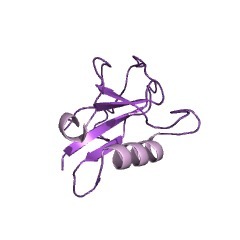 Doublecortin is a basic protein with an iso-electric point of 10, typical of microtubule-binding proteins. 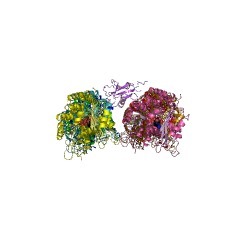 However, its sequence contains no known microtubule-binding domain(s). The detailed sequence analysis of Doublecortin and Doublecortin-like proteins allowed the identification of an evolutionarily conserved Doublecortin (DC) domain, which is ubiquitin-like. This domain is found in the N terminus of proteins and consists of one or two tandemly repeated copies of an around 80 amino acids region. It has been suggested that the first DC domain of Doublecortin binds tubulin and enhances microtubule polymerisation [(PUBMED:10749977)]. Doublecortin. It is required for neuronal migration [(PUBMED:9489699)]. A large number of point mutations in the human DCX gene leading to lissencephaly are located within the DC domains [(PUBMED:10749977)]. 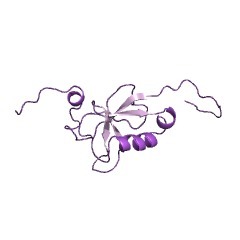 Human serine/threonine-protein kinase DCAMKL1. 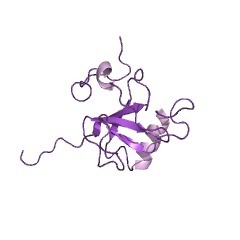 It is a probable kinase that may be involved in a calcium-signaling pathway controling neuronal migration in the developing brain [(PUBMED:10533048)]. 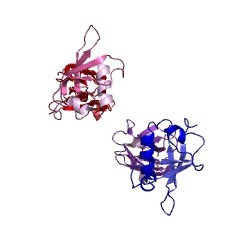 Retinitis pigmentosa 1 protein. It could play a role in the differentiation of photoreceptor cells. Mutation in the human RP1 gene cause retinitis pigmentosa of type 1 [(PUBMED:10401003)]. There are 5674 DCX domains in 2887 proteins in SMART's nrdb database. Taxonomic distribution of proteins containing DCX domain. This tree includes only several representative species. The complete taxonomic breakdown of all proteins with DCX domain is also avaliable. Click on the protein counts, or double click on taxonomic names to display all proteins containing DCX domain in the selected taxonomic class. Doublecortin mutations cluster in evolutionarily conserved functional domains. Mutations in the X-linked gene doublecortin ( DCX ) result in lissencephaly in males or subcortical laminar heterotopia ('double cortex') in females. Various types of mutation were identified and the sequence differences included nonsense, splice site and missense mutations throughout the gene. Recently, we and others have demonstrated that DCX interacts and stabilizes microtubules. Here, we performed a detailed sequence analysis of DCX and DCX-like proteins from various organisms and defined an evolutionarily conserved Doublecortin (DC) domain. 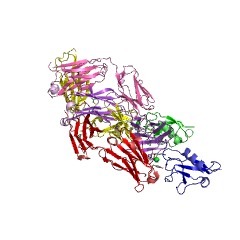 The domain typically appears in the N-terminus of proteins and consists of two tandemly repeated 80 amino acid regions. In the large majority of patients, missense mutations in DCX fall within the conserved regions. We hypothesized that these repeats may be important for microtubule binding. We expressed DCX or DCLK (KIAA0369) repeats in vitro and in vivo. Our results suggest that the first repeat binds tubulin but not microtubules and enhances microtubule polymerization. To study the functional consequences of DCX mutations, we overexpressed seven of the reported mutations in COS7 cells and examined their effect on the microtubule cytoskeleton. 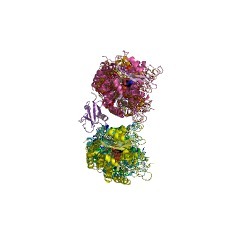 The results demonstrate that some of the mutations disrupt microtubules. The most severe effect was observed with a tyrosine to histidine mutation at amino acid 125 (Y125H). Produced as a recombinant protein, this mutation disrupts microtubules in vitro at high molar concentration. The positions of the different mutations are discussed according to the evolutionarily defined DC-repeat motif. The results from this study emphasize the importance of DCX-microtubule interaction during normal and abnormal brain development. doublecortin is the major gene causing X-linked subcortical laminar heterotopia (SCLH). Subcortical laminar heterotopia (SCLH), or 'double cortex', is a cortical dysgenesis disorder associated with a defect in neuronal migration. Clinical manifestations are epilepsy and mental retardation. This disorder, which mainly affects females, can be inherited in a single pedigree with lissencephaly, a more severe disease which affects the male individuals. This clinical entity has been described as X-SCLH/LIS syndrome. Recently we have demonstrated that the doublecortin gene, which is localized on the X chromosome, is implicated in this disorder. We have now performed a systematic mutation analysis of doublecortin in 11 unrelated females with SCLH (one familial and 10 sporadic cases) and have identified mutations in 10/11 cases. The sequence differences include nonsense, splice site and missense mutations and these were found throughout the gene. These results provide strong evidence that loss of function of doublecortin is the major cause of SCLH. The absence of phenotype-genotype correlations suggests that X-inactivation patterns of neuronal precursor cells are likely to contribute to the variable clinical severity of this disorder in females. A novel CNS gene required for neuronal migration and involved in X-linked subcortical laminar heterotopia and lissencephaly syndrome. X-SCLH/LIS syndrome is a neuronal migration disorder with disruption of the six-layered neocortex. It consists of subcortical laminar heterotopia (SCLH, band heterotopia, or double cortex) in females and lissencephaly (LIS) in males, leading to epilepsy and cognitive impairment. We report the characterization of a novel CNS gene encoding a 40 kDa predicted protein that we named Doublecortin and the identification of mutations in four unrelated X-SCLH/LIS cases. 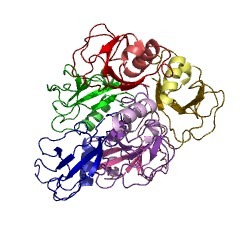 The predicted protein shares significant homology with the N-terminal segment of a protein containing a protein kinase domain at its C-terminal part. This novel gene is highly expressed during brain development, mainly in fetal neurons including precursors. The complete disorganization observed in lissencephaly and heterotopia thus seems to reflect a failure of early events associated with neuron dispersion. Doublecortin, a brain-specific gene mutated in human X-linked lissencephaly and double cortex syndrome, encodes a putative signaling protein. X-linked lissencephaly and "double cortex" are allelic human disorders mapping to Xq22.3-Xq23 associated with arrest of migrating cerebral cortical neurons. We identified a novel 10 kb brain-specific cDNA interrupted by a balanced translocation in an XLIS patient that encodes a novel 40 kDa predicted protein named Doublecortin. Four double cortex/X-linked lissencephaly families and three sporadic double cortex patients show independent doublecortin mutations, at least one of them a de novo mutation. 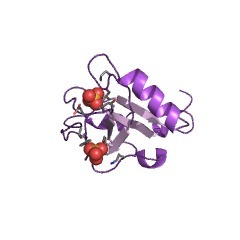 Doublecortin contains a consensus Abl phosphorylation site and other sites of potential phosphorylation. 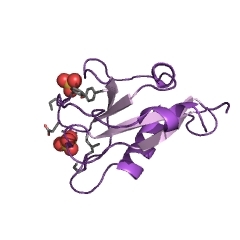 Although Doublecortin does not contain a kinase domain, it is homologous to the amino terminus of a predicted kinase protein, indicating a likely role in signal transduction. Doublecortin, along with the newly characterized mDab1, may define an Abl-dependent pathway regulating neuronal migration. Human doublecortin (DCX) and the homologous gene in mouse encode a putative Ca2+-dependent signaling protein which is mutated in human X-linked neuronal migration defects. Subcortical band heterotopia (SBH) and classical lissencephaly (LIS) result from deficient neuronal migration which causes mental retardation and epilepsy. 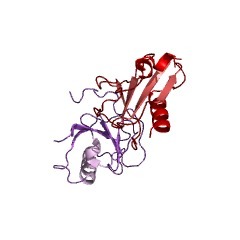 A single LIS/SBH locus on Xq22.3-q24 was mapped by linkage analysis and physical mapping of the breakpoint in an X;2 translocation. A recently identified gene, doublecortin ( DCX ), is expressed in fetal brain and mutated in LIS/SBH patients. We have identified four novel missense mutations in the gene, one familial mutation with LIS in a male and SBH in the carrier females, one de novo mutation in an SBH female, and two mutations in sporadic SBH female patients. The DCX gene is found to be expressed exclusively at a very high level in the adult frontal lobe. We have also cloned the X-linked mouse doublecortin (Dcx) gene. 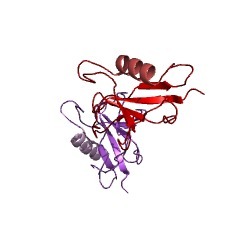 It encodes isoforms of a highly hydrophilic 40 kDa protein, homologous to its human counterpart and containing several potential phosphorylation sites. Both human and mouse DCX proteins are homologous to a CNS protein containing a Ca2+/calmodulin kinase domain, suggesting that the DCX protein may belong to a novel class of intracellular proteins involved in neuronal migration through Ca2+-dependent signaling. SwissProt sequences and OMIM curated human diseases associated with missense mutations within the DCX domain.